We utilize the latest telecommunications and data infrastructure technologies to give your business an edge over the competition. 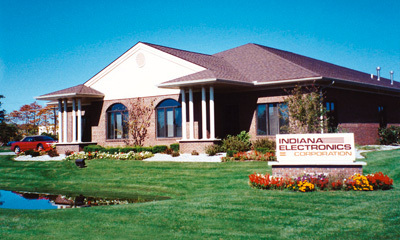 Indiana Electronics & Communications is locally owned and operated and has been servicing the Michiana area since 1954. Indiana Electronics & Communications provides a comprehensive offering of communication solutions and customization options including Voice Over IP (VoIP) Systems, Business Phone & Voice Mail Systems, Data Networks, Wireless, Access Control, and Communications Solutions for business offices, healthcare facilities, school districts, and the manufacturing industry. Converging voice and data on a regional, national and international basis facilitates your internal and external communication needs. Indiana Electronics & Communications can provide an all-in-one solution as a single point of contact for all your communication needs. Indiana Electronics & Communications has built a team of voice and data specialists committed to your satisfaction. Our technical staff undergoes rigorous factory training along with on premise and webinar training to keep current with the latest product and service innovations. We work with you to achieve optimum user convenience and efficiency. Servicing Customers in Northern Indiana, Southern Michigan, Indianapolis, Ft. Wayne, Valparaiso and surrounding areas.